We love a cheese and wine sale here at Ocado. Every time we have one (currently 25% off a great selection), our wine buyer, Julian, is inundated with questions from staff asking for recommendations. What cheese should I eat with a sauvignon? 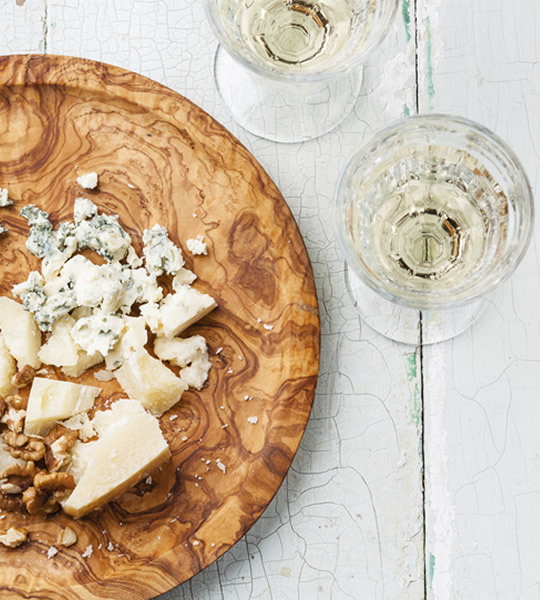 Which wines go well with goat’s cheese? This year, he’s only gone on holiday! But because he’s such a gent he emailed me his top tips to share with the team. So in true pay-it-forward style I’m sharing them with you. Goat’s, brie, camembert and other soft cheeses work perfectly with lightly aromatic dry white wines, especially sauvignon blanc, as the combination enhances both cheese and wine, making the wine slightly sweeter and the cheese rich. That’s a win-win! Dulong Reserve Sauterne (50cl bottle only £8.99, really great value) and Danish blue and smelly stiltons – and maybe a film. For me this is the ultimate end to Easter Sunday. Hard cheese softens red wine, giving it more appeal and making it perfect for finishing a meal. It also brings out the flavour in strong cheddars. I hope Julian’s tips gave you some wine and cheese pairing inspiration I know I’ve added a few choice bottles and cheeses to my order this week!